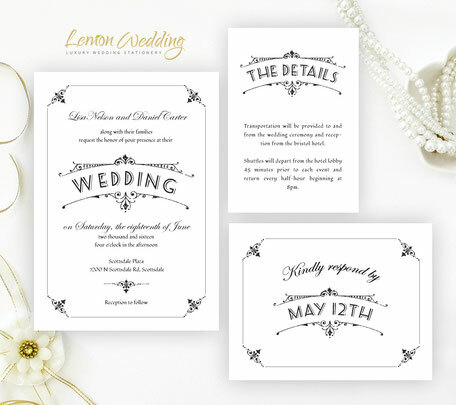 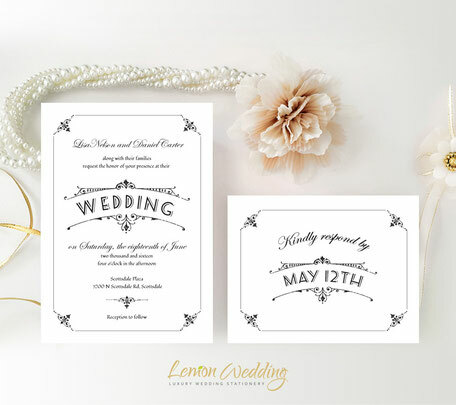 Keep your wedding announcement chic, yet timeless with our Simple Wedding Invitations. 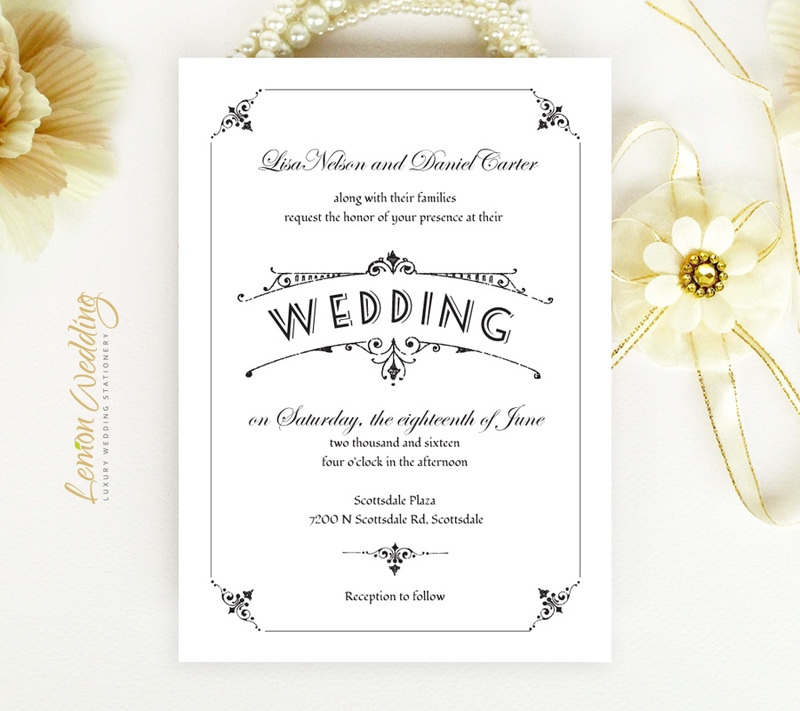 Our elegant simple Invitations will give all the details while inviting them in a manner that is far from boring. 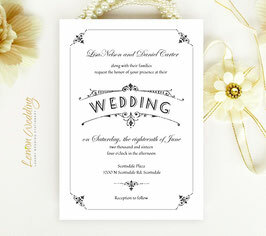 Showcasing an ornate design, our wedding invites are printed on premium cardstock with classic black font.